Betsy & Kyle from Lafeyette, LA were our winners!! Kyle & Betsy have wanted to tie the knot for quite some time. Kyle works on an oil rig with a rather intense work schedule, working for two weeks straight before getting some time off the job. They've attended multiple weddings together as all of their friends have been tying the knot. That plus Kyle's intense work schedule kept putting their plans on hold. Our giveaway came at just the right time as these two entered on a whim thinking what if? Well, it was a bittersweet moment when they heard the news that Betsy's brother and fiancé had been randomly selected as the winners. 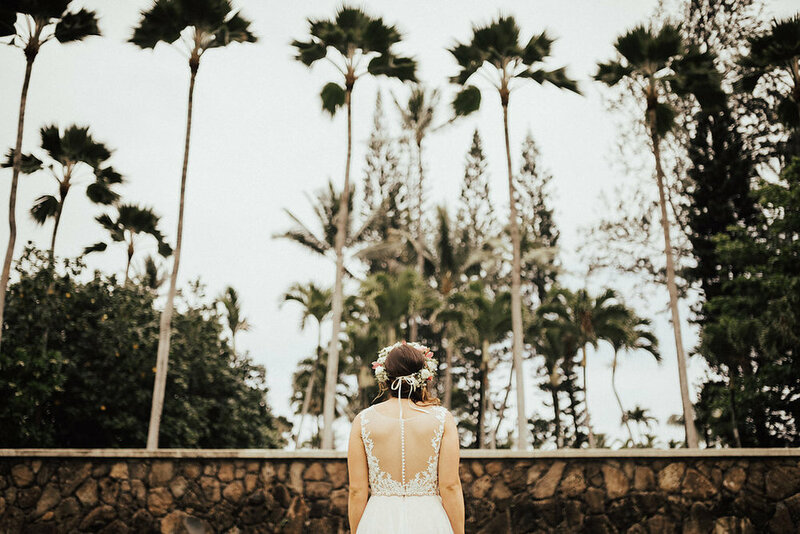 I mean, who wins giveaways - especially travel-included Hawaii elopement giveaways? 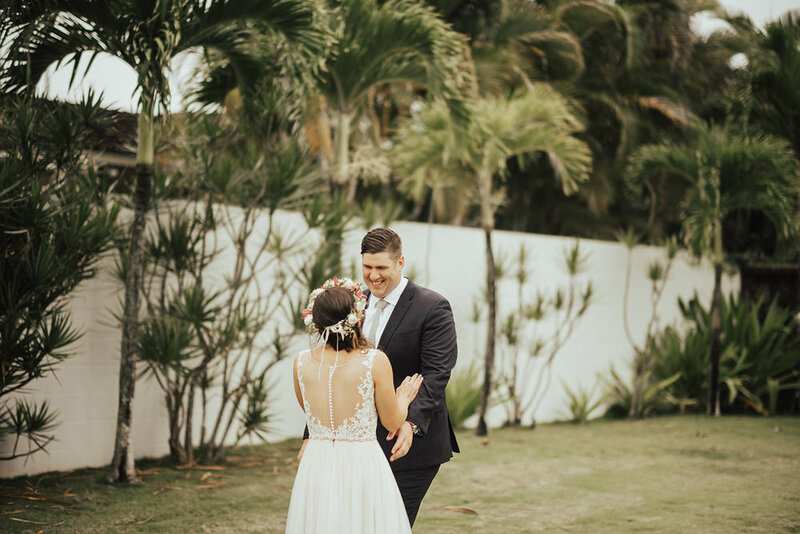 We quickly booked their flights and put everything in motion with our wonderful vendors who donated their time and efforts to make Kyle & Betsy's day so special (see all links to vendors below). 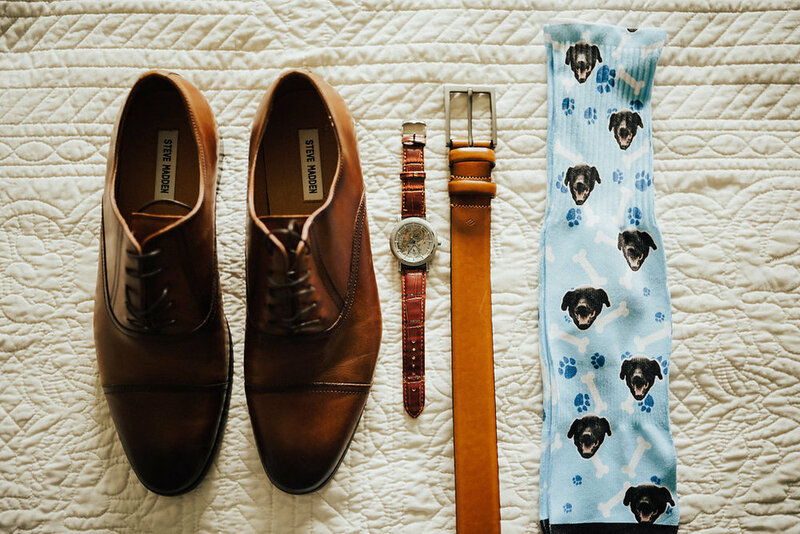 The Rowlands and Roy Nuesca met up with Kyle & Betsy a their Airbnb to capture getting ready photos and the first look. Kyle & Betsy hopped in the car with their photographers, driving to multiple locations for some pretty epic shots. 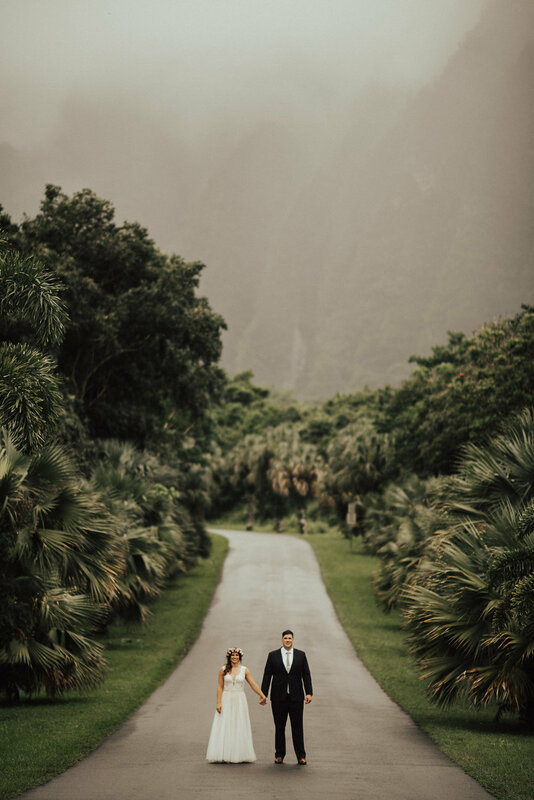 They ended up taking photos at Makapu'u Beach and lookout, Ho'omaluhi Botanical Gardens, and some other rather unknown spots - it sure helps to have a local guiding the expedition :) Wedding Pioneer has a Hawaii region featuring multiple local photographers that can help plan your special Hawaiian elopement. 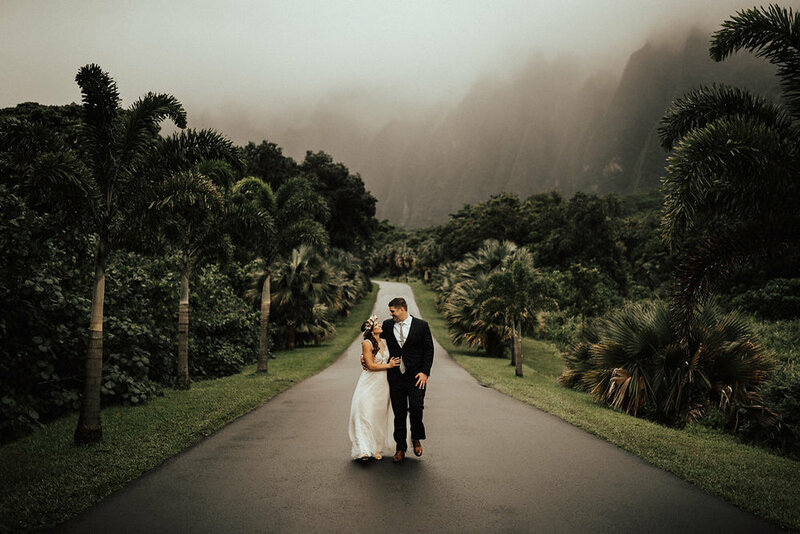 After capturing some epic photos around the island, Kyle & Betsy ended up at Waimanalo Country Farms for their ceremony. It's only in April that the farms have fully-bloomed sunflowers. It was a muddy trek to the middle of the field where the full ceremony was held. Rings and vows were exchanged and it was official! 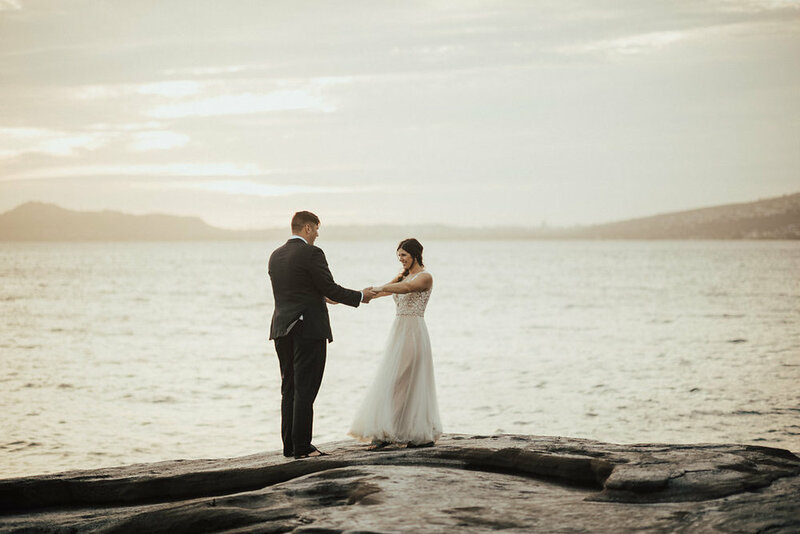 Here are some highlights of the day captured by wedding photographer Roy Nuesca. 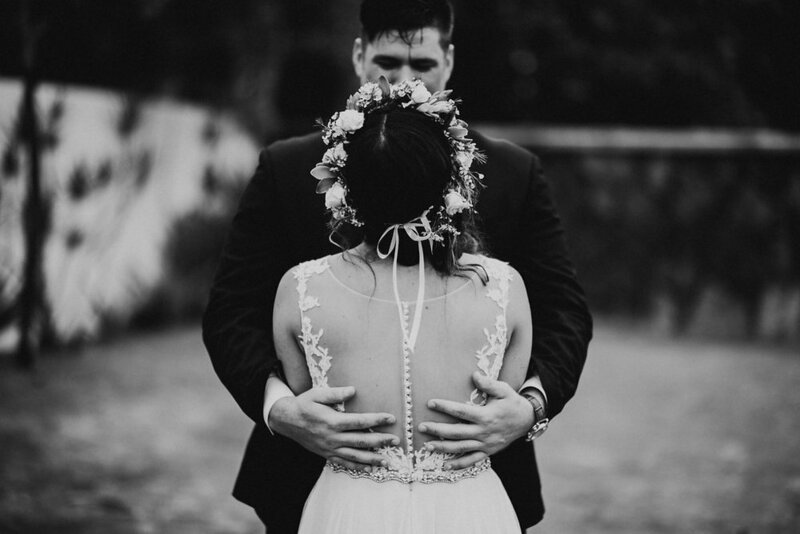 Below are some highlights of the day captured by wedding photographers The Rowlands. 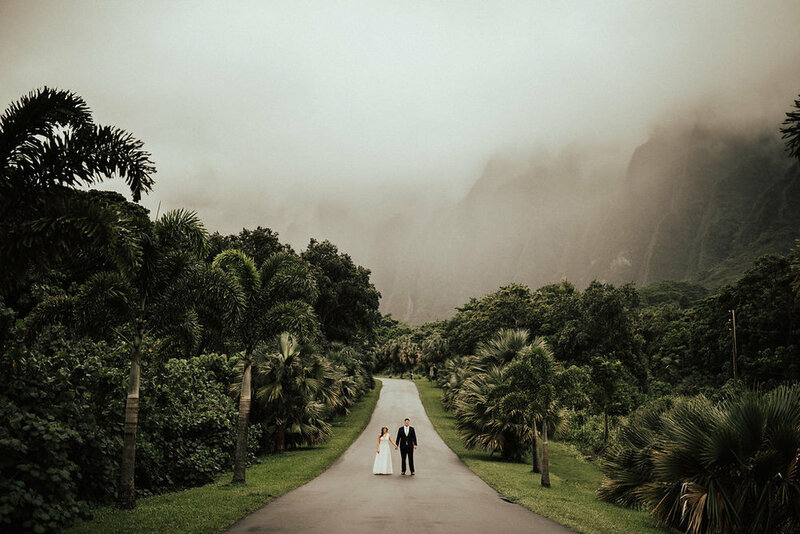 Wedding Pioneer is an alternative wedding directory, featuring a small group of hand-selected wedding photographers in the US and Canada. Wedding Pioneer partnered with some incredible vendors who made this day possible! !